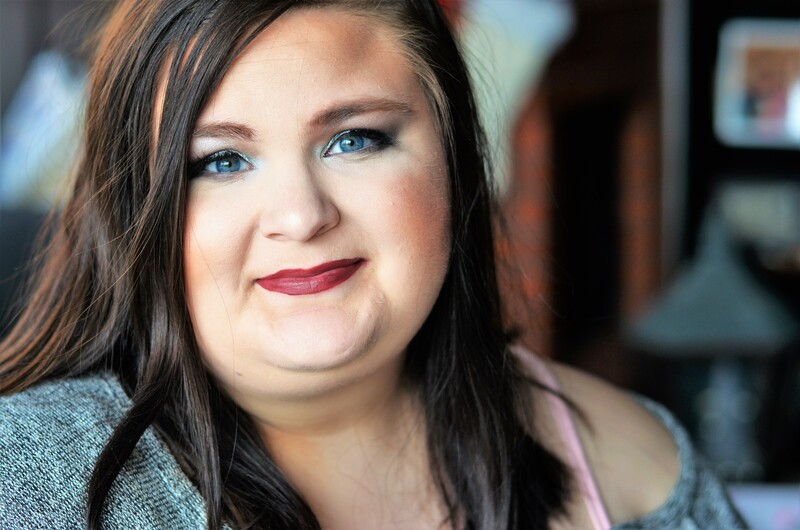 I recently read a blog post by the Style Lullaby called “Blogger Behind the Scenes Tag” and loved the idea; I knew I needed to participate! 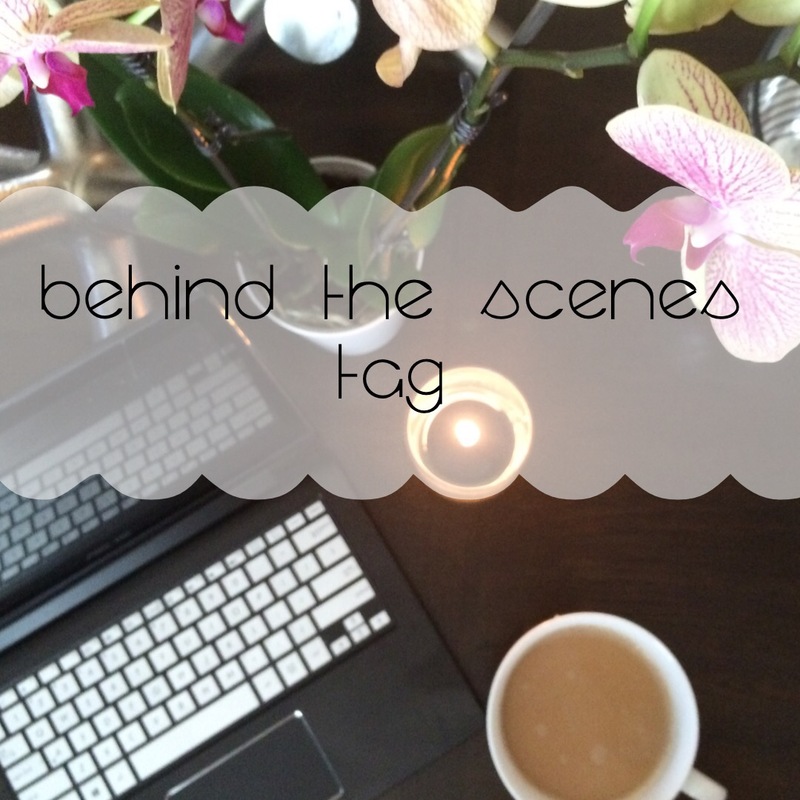 It’s a fun tag all about answering questions about what the behind the scene of your blog looks like. I hope you enjoy! For the most part, I blog at home either in my room or the living room. Sometimes I will blog at a coffee shop or the library just to get some different scenery. However, most of the time I’m blogging in my pajamas, with a cup of coffee, and music or Netflix on. I get my inspirations from my head, fellow bloggers, and sometimes just the world around me. At times, I find great ideas from blogger friends or I just come up with an idea. Sometimes the Lord is showing me something in my life or an event happens in my life and that urges me to write a post. Well that depends. If I am doing something, like a review or something with photography, it takes me a lot more time. The posts that are lists, something from my heart, or tips don’t usually take me as long as album reviews or monthly favorite posts take me. The photography ones take a while because I have to gather everything, take the photos, edit them, then write the post. Yes and no. For the most part I try to plan out at least a week in advance to a couple weeks but that doesn’t always happen. 🙂 I try to be planned out because I feel like the quality tends to be better when it’s not rushed, but sometimes I can’t help that. 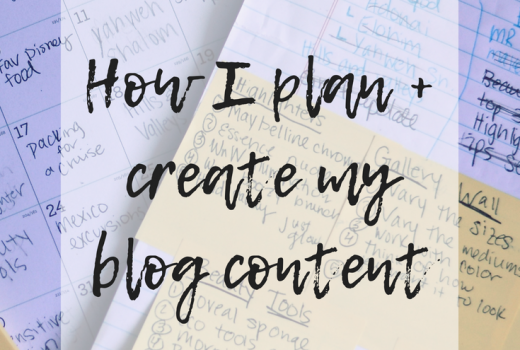 Planning helps me stay focused and work on creating great content for ya’ll. I use a Nikon D3100. It was originally my sisters but she has graciously given me full access to it since I started blogging and doing photography. I love it! It’s just fancy enough to produce great pictures but not too fancy that I can’t figure it out. I also use my iPhone sometimes. I’ve taken some classes in iPhone photography and social media that has helped with that! I use numerous different programs: Indesign, Photoshop, and PicMonkey. I also use a good amount of apps such as: Color Story, Rhonna Designs, Vintique, and Canva. All of these are great programs to help edit, add layers, and text to my pictures. Not exactly, I mainly use my phone or my day planner. So yes, I usually keep an idea list going but I don’t have a specific notebook for them. They tend to be all over everywhere! Probably 90% of the pictures on my blog are my own! I do use an occasional stock photo if I’m pressed for time but I really like to use my own photography as much as I can. It both displays my skill as well as helps me grow better as a photographer. Monthly Favorites for sure! I love gathering all my favorite products, photographing them, and discussing them with you! I also enjoy tip posts and posts where I just ramble about things the Lord is showing me in my life. Obviously my family and friends, fellow bloggers, and hopefully more people! My goal is always to spread the love of God and create content that people will enjoy; so I hope anyone that needs to see it does. Both 🙂 It really depends on the time. I try to be as organized as possible but I always have my messy moments. The longer I blog the more organized I seem to become. Probably when bloggers don’t help each other out. We are each others greatest cheerleaders and I hate when we don’t help each other out or support each other. You should do it and tag me so I can see!